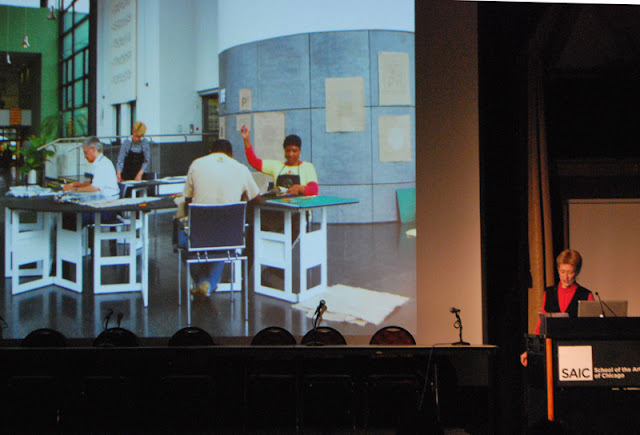 Deborah Doering was invited to make a presentation to the National Art Educators Association Illinois Student Chapter about DOE Projekt's art action, "JUST US AT WORK." There were several other presentations by art educators and art students in the School of the Art Institute's ballroom on Thursday, April 25. 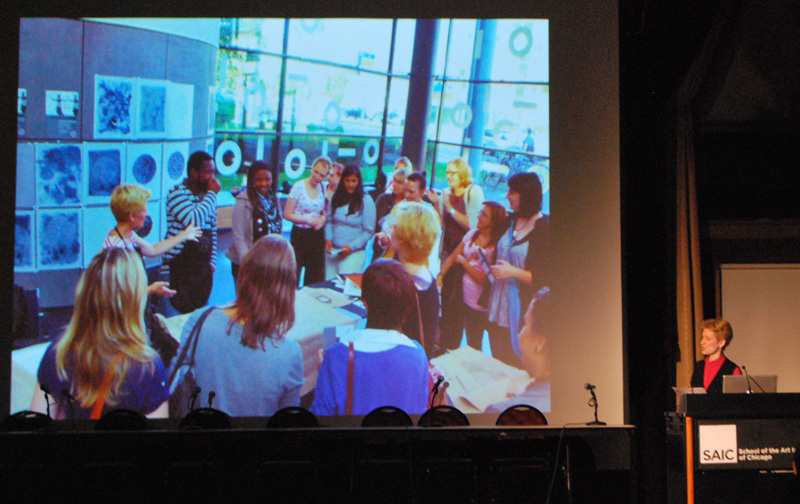 It was a time for sharing various techniques and strategies for engaging students and the general public with a variety of art practices. 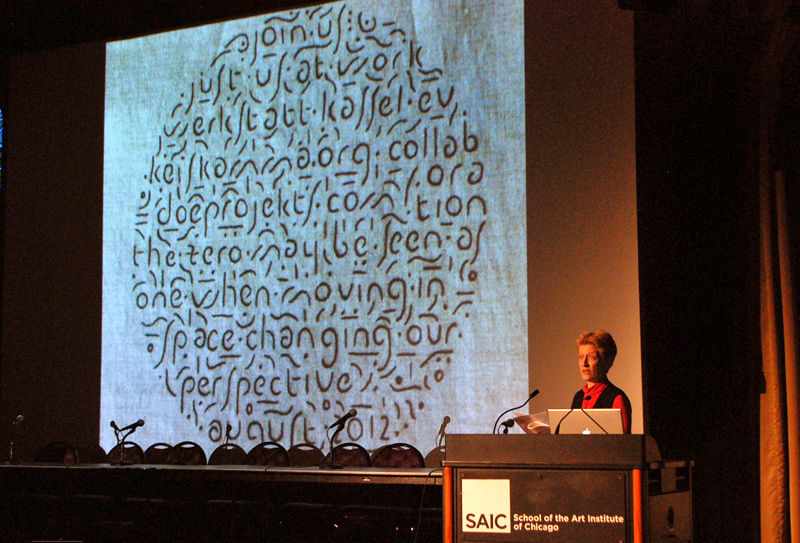 We thank the NAEA and the SAIC Art Education Department for organizing such a professional opportunity to network.